A former Sheffield Telegraph journalist who went on to be a national magazine and newspaper editor has died at the age of 87. Dennis Hackett attended De La Salle College in Sheffield before joining the Telegraph in 1945. After national service with the Royal Navy, he worked for a string of national titles including the Daily Express and Daily Mail before joining Queen magazine, where he was editor. 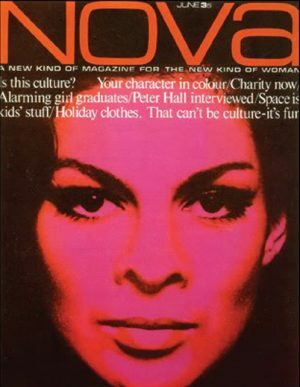 In 1965 he was poached by Nova, described as a “new kind of magazine for a new kind of woman”, and together with art director Harri Peccinotti, swiftly established Nova as an influential must-read for the movers and shakers of “swinging London”, according to The Guardian. He went on to work for Mirror newspapers and again at the Express, where he was associate editor, before other spells at The Times, The Tablet and Mail On Sunday before he was brought in by the newly launched Today newspaper to be executive editor and then editor-in-chief. His career closed with periods editing the Observer’s colour magazine, M, and Management Today. He is survived by his wife, Jacquie, three children and six grandchildren.